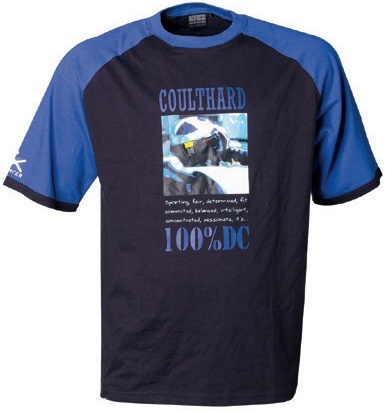 << Back David Coulthard T-Shirt 100% DC REDUCED PRICE! David Coulthard ''100% DC" T-Shirt. Another new design for this year is this fashionable raglan sleeve shirt with its impressionistic image of DC in the cockpit.